Las Vegas and the Southern Nevada region are popular destinations for domestic and international tourists alike. According to the Las Vegas Convention and Visitors Authority, 42.9 million people visited Southern Nevada in 2016 and spent $35.5 billion in the process. While there’s certainly plenty to do and see at ground level, the folks at Maverick Helicopters want to show you the sights from a different perspective. RewardExpert spoke with Bryan Kroten, Maverick Helicopter’s vice president of marketing, about the company’s history, what makes a Maverick experience special, and his can’t-miss picks for your next Southern Nevada vacation. Founded by husband and wife team Greg and Brenda Rochna in 1995, Maverick Helicopters began with one aircraft and a dream. More than 225,000 guests enjoy Maverick Helicopter tours each year. Though there are numerous tour companies in the Las Vegas region, Kroten said travelers should choose Maverick Helicopters because they’re superior in three key areas. 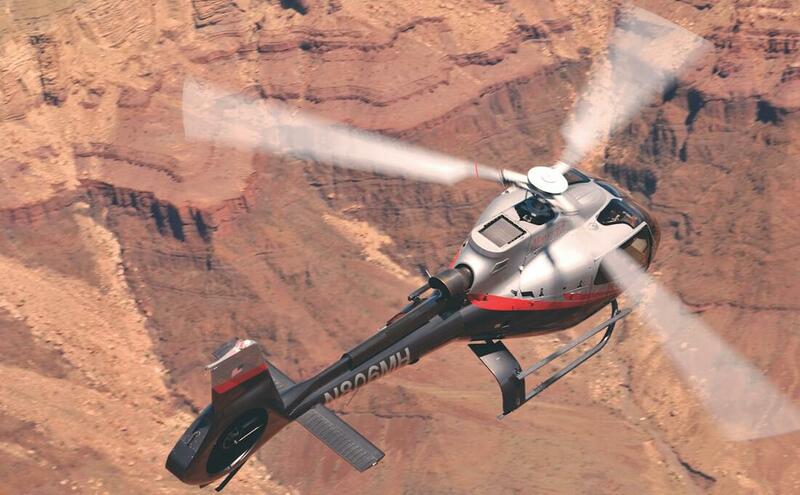 To date, Maverick has invested over $85 million in its fleet of ECO-Star helicopters. Each one features Quiet Technology, 23 percent larger cabin space than most other helicopters, wraparound glass for unbeatable visibility, and front-facing individual leather seats. Each ECO-Star holds up to seven passengers. The third differentiator is maintenance and safety. Maverick has the top safety record of any tourism-based aviation company in the world and has received the FAA’s distinguished Diamond Award. For travelers with packed schedules and limited free time, he recommends the company’s popular Vegas Nights flight. He recommends the Wind Dancer Air and Landing Tour if you’d like to see the Grand Canyon and the Las Vegas Strip in one trip. 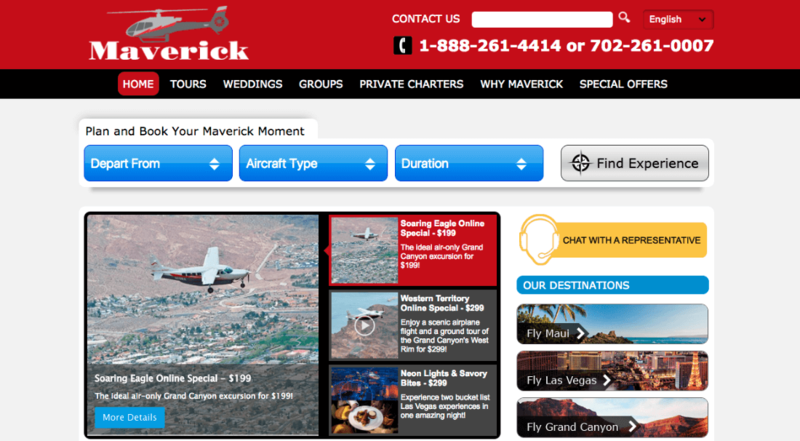 For a full list of tours and current prices, visit www.maverickhelicopter.com. You can also view beautiful tour photos on the company’s Instagram and flight videos at YouTube.